It’s not every day that an academic department changes its name. But a leading scholar at Temple University was successful in convincing university officials and the Board of Governors to rename the African American studies department to the Africology and African American studies department. The name change, which occurred last year, represents an effort to distinguish Temple’s Black studies program from the dozens of other Black studies and African American studies programs in existence at universities across the nation. 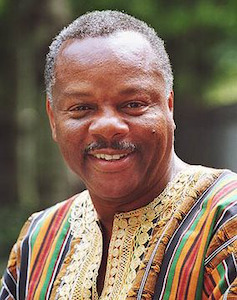 But the name change also aligns with the scholarly research of Dr. Molefi Kete Asante—arguably the nation’s most recognized Afrocentric scholar—who has long advocated that the department which he chairs should have an African-centered identity. For Asante, who founded the nation’s first doctoral program in Black studies at Temple University in 1985, the renaming signals an epistemological orientation—a way of knowing that centers on the arts, histories and experiences of Black people. There are currently six faculty in Africology and African American studies, many of whom use an Afrocentric approach to their research. For example, Dr. Ama Mazama penned a book that examines homeschooling from an African American perspective. Asante has authored more than 80 books. “Our faculty is small, but we’re dedicated,” Asante says. Since its inception in the 1980s, the department’s doctoral program has graduated over 170 students. Among prominent alumni are Dr. Greg Carr, chair of the Department of Afro-American Studies at Howard University; Dr. Christel N. Temple, chair of the University of Pittsburgh’s Department of Africana Studies, and Dr. Reiland Rabaka, chair of the University of Colorado’s Department of Ethnic Studies. However, it is future graduates who may be most impacted by the new disciplinary nomenclature. Dr. Nathaniel Norment, a professor of English at Morehouse College and the former chair of African American Studies at Temple, said that the disciplines of African American studies and Africana studies have established and recognized methods and theories that guarantee the training of doctoral students. He worries that Africology as a degree title might confuse graduates’ prospective employers. He said that graduate students on the job market would be at a disadvantage. But Asante disagrees. Since the renaming of the department, Asante said that three graduates have been placed: Dr. Jennifer Williams at Loyola Marymount in Los Angeles; Drs. Donela Wright and Ifetayo Flannery at San Francisco State University. Apart from these more practical concerns in academia, Norment describes this nomenclature as a mere “distraction” from research, adding that leaving the department’s name as African American Studies would allow it to encompass theories like Africology. “It really wasn’t anything new. It was a type of branding,” Norment said, adding that terms like Africology and Afrocentricity were popularized by Asante and his protégés and that these terms have led to little curricular or programmatic changes. Other scholars like Dr. Amilcar Shabazz, chair of the W. E. B. Du Bois Department of Afro-American Studies at University of Massachusetts, Amherst, argues that these disciplines, no matter what they’re called, have a place in the scholarly enterprise at large. But according to Norment, if Africology and African American Studies captures the personality of Temple’s department, it’s only because of Asante’s presence. “It’s not something that the profession has defined or constructed,” he said. Shabazz, however, describes the formation of a department’s identity as an organic process. Shabazz said that his own department periodically discusses renaming itself. He said that some students and alumni believe that “Afro-American studies” is “so 70s.” However, he has not seen enough momentum behind the cause to warrant a name change. Shabazz emphasized the importance of going beyond nomenclature and celebrating the diverse approaches used by scholars in the discipline to refine the discourse and produce knowledge. He said that Temple University’s department provides just one of those approaches.